Hi loves! The last days of the year are passing by and it's time to look back at everything both Loqi and I have done this past year. Today I want to show you the 5 blog posts from my sweet friend Loqi that she did this year. I am still very grateful she wants to blog along with me and always appreciate the beautiful looks she creates. These are in chronological order as I couldn't call favorites! 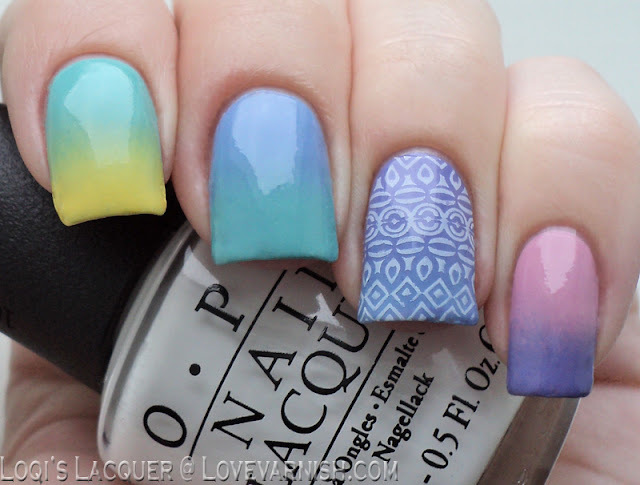 Way back in April Loqi created a lovely gradient because of Easter. I still adore this pastel toned look! This look holds so many elements I love: the color teal, leopard print, gradient.. perfection ♥. 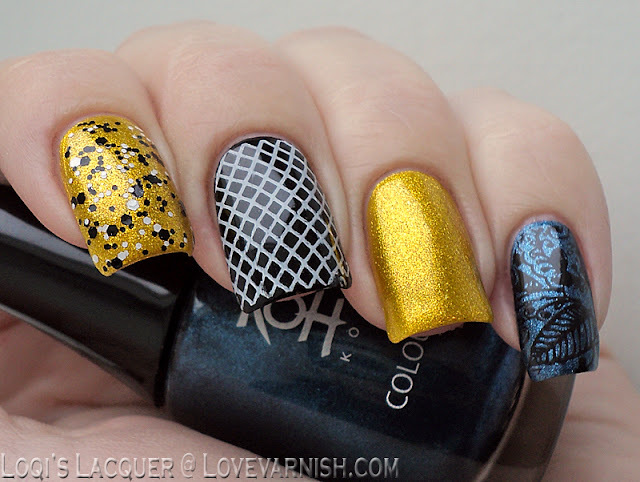 Almost looking futuristic (I can totally imagine a bodysuit with that pattern for a sci-fi movie) this tapemanicure is absolutely perfect! 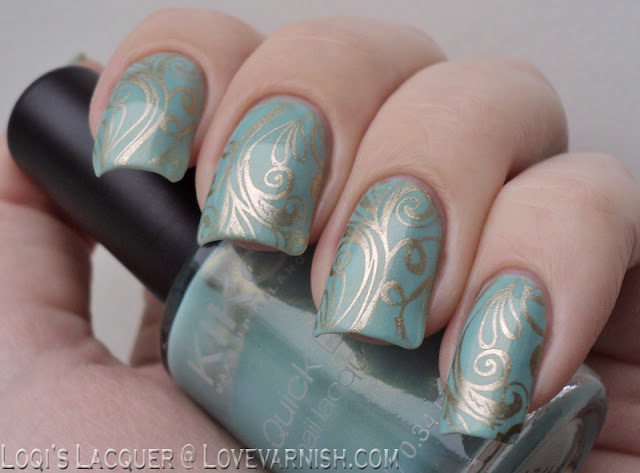 I love mint, I love gold, I love curly stamped patterns. Total win! The combination of elements really blew me away, and I think she did a great job on getting the vibe from the dress she drew inspiration from! There they are, my 5 favorite posts from my sweet buddy this past year! Hope you enjoyed them as much as I did, or do you have another favorite? Thank you so much sweety! I still love doing this very much, thanks for having me! Great choices!! These are all lovely!